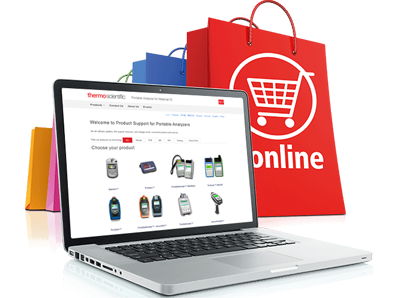 To login to the Customer Support Download Center, enter the Serial Number and Support Code from your TruScan. 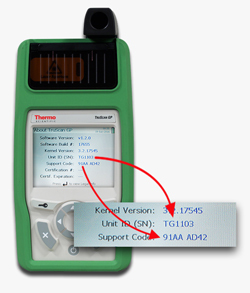 The TruScan RM Serial Number and Support Code are displayed on the screen. NOTE: TruScan RM serial numbers are identified by the letters "TM" followed by 4 numbers. No other configuration is valid. Login to your TruScan with your user credentials. Select Main Menu >> Tools >> About System on your instrument to obtain the Unit ID (S/N) and Support Code. 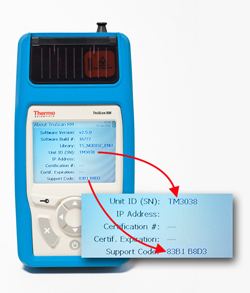 The TruScan GP Serial Number and Support Code are displayed on the screen. NOTE: TruScan GP serial numbers are identified by the letters "TG" followed by 4 numbers. No other configuration is valid. Login to your TruScan with your user credentials. Select Main Menu >> Tools >> About System on your instrument to obtain the Unit ID (S/N) and the Support Code.